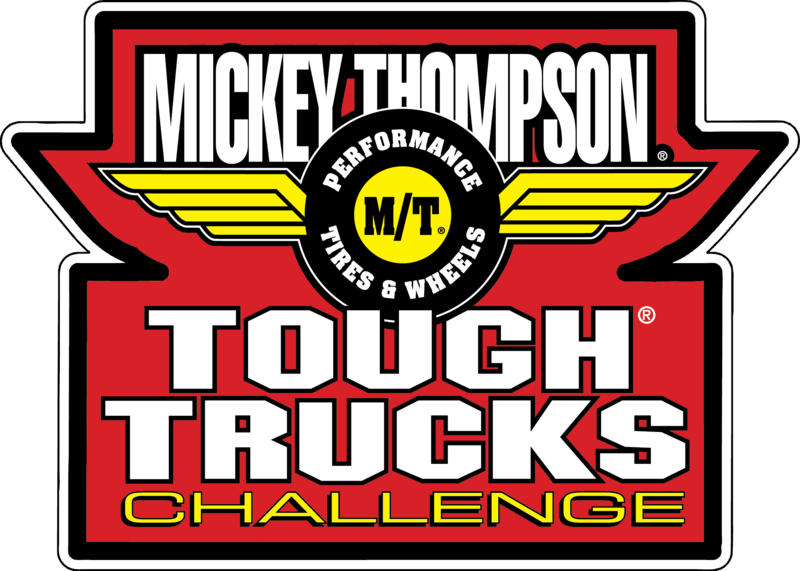 STOW, OH – May 15, 2013 – Mickey Thompson Performance Tires & Wheels returns this year as the Tough Trucks Challenge title sponsor. The 2013 Tough Trucks Challenge is part of the 28th annual spring 4-Wheel Jamboree Nationals beginning with the first event May 17-19 at the Allen County Fairgrounds, Lima, Ohio. The Tough Trucks Challenge is a weekend event that showcases modified 4×4 trucks and exceptional driving skill in an obstacle course competition. The trucks participating in the event have been extensively customized to handle the incredible challenges of each course, and the fastest qualifiers compete through eliminations where side-by-side racing narrows the field to reveal the champion. For more information about the 4-Wheel Jamboree Tough Trucks Challenge, visit http://www.4wheeljamboree.com/. Max-Trac Tire Co., Inc., dba Mickey Thompson Performance Tires & Wheels, markets racing and high-performance tires and wheels for street, strip, truck, and off-road applications. The company was founded in 1963 by racing legend Mickey Thompson and is headquartered in Stow, Ohio, USA. For more information, visit http:/www.mickeythompsontires.com/.